On Friday night, I covered the Lake Elsinore Storm’s game. 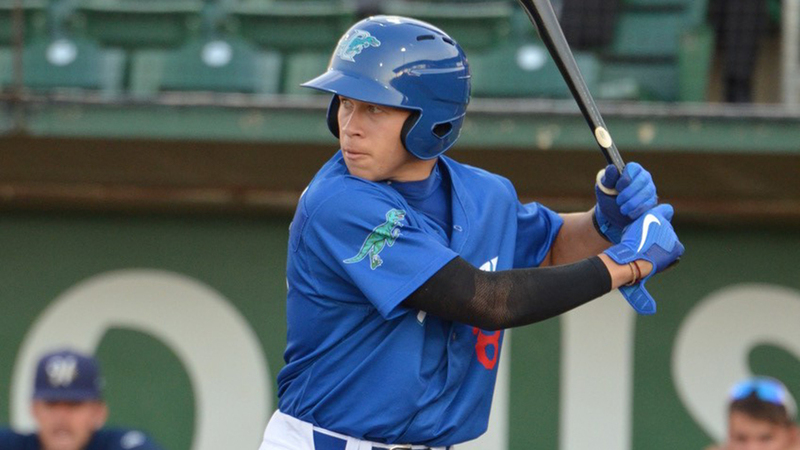 Before the game, I spoke to the Dodgers’ rehabbing left-handed pitcher Julio Urías and outfield prospect Jeren Kendall about the Padres’ organization and players. 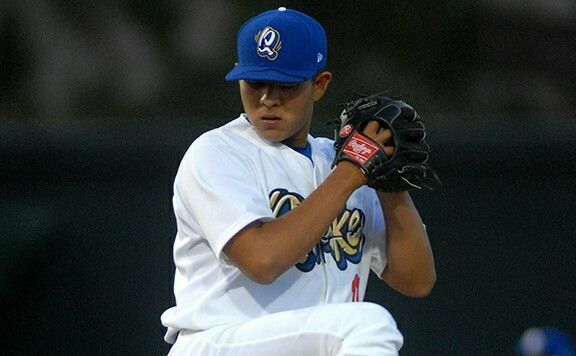 Q: What did you think of the Lake Elsinore Storm during the game on Wednesday in which you pitched? Q: Did you have confidence in all of your pitches in your game against the Storm? Q: Did you think the hitters from Lake Elsinore were good at hitting specific pitches that you threw? Q: So for example your fastball, curveball — They saw them well? Q: So you think some of the Lake Elsinore hitters specifically were more talented than others? Q: Finally, do you think that the information that they have here in the California league is the same or different from the information and scouting they have in Los Angeles with the Dodgers? Q: Throughout your time in the minor leagues, would you say that teams in the Padres’ organization have average or above average talent? What are your thoughts on that? Q: Were there any pitchers that you felt like were particularly impressive in the organization? Q: Is there anything you guys have heard about Bryan Mitchell, tonight’s starter for the Storm? Though they were pretty brief conversations, it was very interesting to hear what the two players had to say about the Padres’ minor leaguers and system. They both seemed impressed with the talent in the organization, and had really positive things to say about specific players. 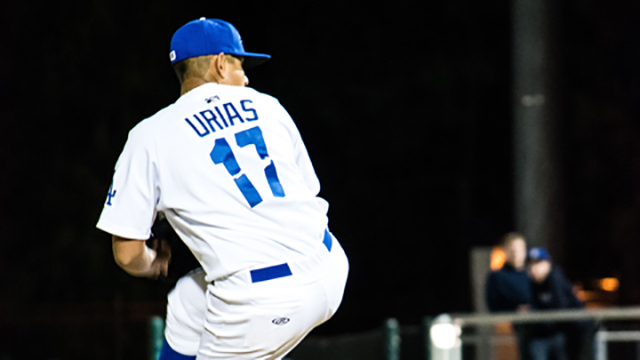 Urías is a guy who has at times pitched with real success in the big leagues, so it’s encouraging that he was impressed with the Storm’s team. While in the major leagues, the Dodgers have recently had little issue with handling the Padres, in the minor leagues it’s clear the Padres’ affiliates are competing pretty well. Hearing from opposing teams is often a good way to get truthful and accurate evaluations of a team, and this held true in the case of the questions asked to Urías and Kendall. They were both very accommodating and willing to give an interview, which made the interviewing process enjoyable for everyone involved. Fascinating stuff, Conrad. Always enjoy the interviews that you do. Kendall at one time was consider a potential #1 pick in the draft, so it’s interesting to hear his opinions. Thank you Roddy! I really appreciate you saying that, and I enjoy doing the interviews too.